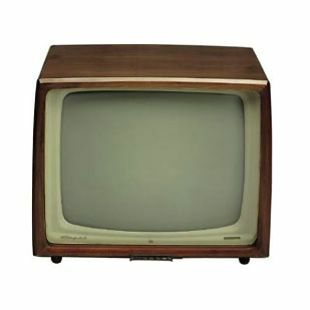 Once the post-War TV boom was over, many of the manufacturers which had emerged during the 1950s disappeared, frequently because the market had become saturated. Others, including B&O, survived because of their foresight. They had begun to focus on other product areas. B&O engineers, for instance, had seen that transistors would replace radio tubes – and realised that a new and exciting future lay before them. Radio with FM, stereophonic music and, perhaps later, even colour TV. The television of the 1950s had every chance of becoming popular - and it did. Capri was an elegant little television that was available with a trolley, with fixed legs or as a shelf model. The cabinet was made of teak or high-gloss walnut, as used in furniture production. Because of innovations in the furniture industry in the use of materials, more and more furniture was being made of teak, but the products of the radio sector were walnut. Bang & Olufsen needed to adapt the products to the furniture that people had bought for their homes. Teak became popular. Over the next 6-7 years, Bang & Olufsen changed the selection of materials for its products from walnut to teak. Later, the more exclusive Brazilian rosewood came in the 1960s as an alternative to teak -cabinets. Capri was available in two different sizes, 17 or 21 inches. One of the first major lessons learned about television was that reflected light could spoil the picture. People would often switch off the light in the room to give the picture some contrast while watching television. To protect their eyesight, people were advised to leave one lamp on in the room. To counter this problem, a solution was developed in the form of the 'Bang & Olufsen Spectral Filter' in anti-reflection curtains. It was a slightly tilted greyish screen in front of the picture tube. "Your eyes are protected and you can enjoy the programmes in a living room with full illumination," the 1959 sales brochure stated. The spectral screen was a simplified version of what is today called the contrast screen. Do you have any Tech Specs for this product?